I loved everything about this hotel specially the food was just amazing, staffs were very friendly would definitely recommend this to anyone. I liked the fact that the room is near to Botanical garden and the room is clean and well maintained. facilities were decent. Great location, friendly stuff. The rooftop garden was beautiful. Cozy place. Even though rooms are slightly small, you don't really feel cramped. People here are very friendly and helpful. Good hygienic food and rooms are maintained well. Situated in a very accessible location. Their travel desk options are also affordable and they guide you well. It was a fun trip. The property is a compactone, rooms and parking are a wee bit cramped, but it is run efficiently. It meets all expectations and exceeds a few. There were no bad moments at all. Sathish of service was exceptionally good. Located 500 feet from Government Botanical Garden, 1,950 feet from the town center Charring Cross and 0.6 mi from Government Rose Garden, Garden Manor operates a 24-hour front desk and offers free Wi-Fi. 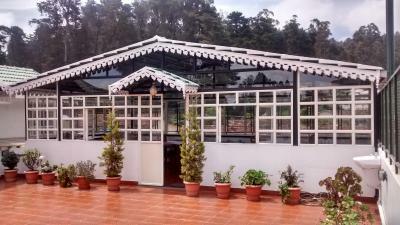 Garden Manor is 1.2 mi from the beautiful Ooty Lake and 3.7 mi from Doddabetta. 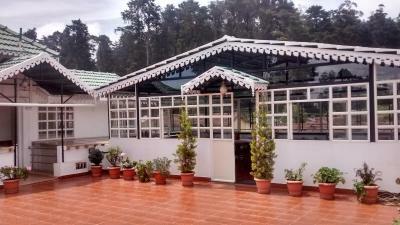 It is 1.2 mi from Ooty Bus Station and 59 mi from Coimbatore Railway Station. The Coimbatore International Airport is 61 mi. Attached with a balcony and overlooking the garden, the rooms are equipped with wooden flooring, seating area and flat-screen cable TV. The private bathrooms include free bathroom amenities and hot/cold shower. 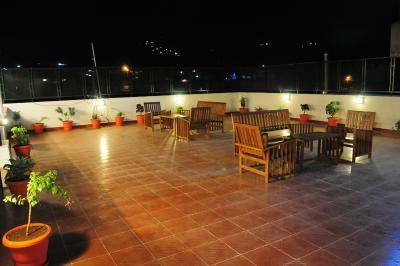 Guests can have good view of the surroundings from the roof garden. 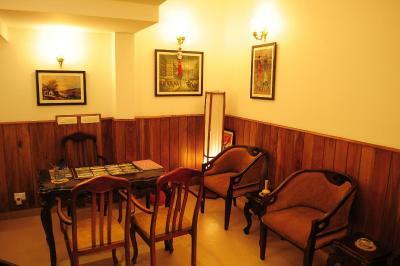 Services like luggage storage and newspapers are provided. Day trips can be organized from the travel desk. The Roof Garden serves breakfast and limited menu for dinner. Room service is available. 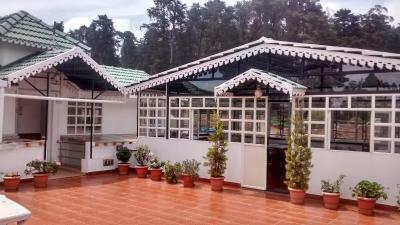 When would you like to stay at Garden Manor? Featuring a balcony overlooking the football field, this room has wooden flooring and a flat-screen cable TV. The private bathroom includes free toiletries and a shower with hot and cold water. 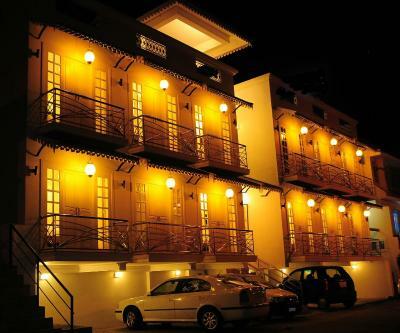 Fitted with wooden flooring, the rooms have a terrace, seating area and flat-screen cable TV. The private bathrooms include shower and complimentary bath amenities. 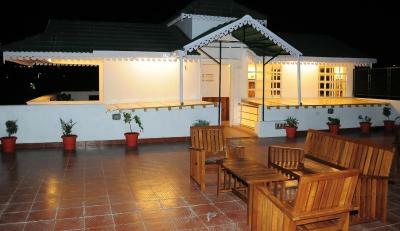 Guests can enjoy town view from the terrace garden. Attached with a balcony and overlooking the town, the rooms are equipped with wooden flooring, seating area and flat-screen cable TV. The private bathrooms include free bathroom amenities and hot/cold shower. House Rules Garden Manor takes special requests – add in the next step! Garden Manor accepts these cards and reserves the right to temporarily hold an amount prior to arrival. Please note that the property requires a booking deposit of 50% of the total booking amount to be paid within 5 day from the booking date. Staff will contact guests with payment instructions. 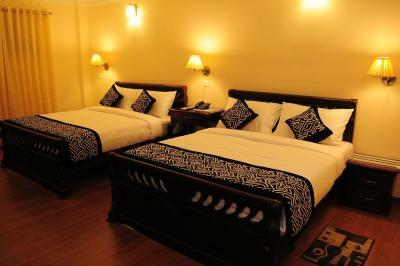 It was INR 7,000 (for two nights) while Booking through booking.com but it became INR 8,260 when I reached the hotel. Rooms are pretty small since they call it "concept rooms", I wonder what do they mean by that word!. The climate was pretty hot during day time and to add advantage, there was no air circulation options such as fan, AC but just a balcony door which opens to public road with no privacy. INR 8,000 is pretty high for such a facility. Nothing that I can think of. It was a perfect holiday. If at all , one should talk about negatives, the size of the property could be discussed. But information on this is already available on the web. It is a nice compact property. 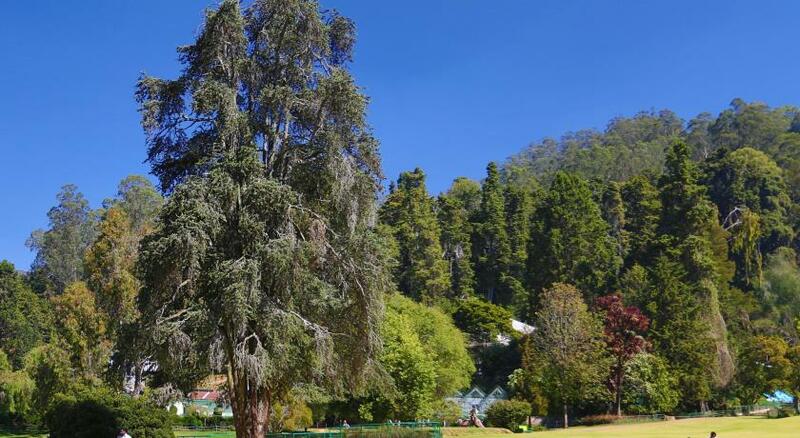 In Ooty in the winter it is cold -except at midday. The room has no heating. At breakfast you can either have the meal in your cold room or wait till ten when the terrace has warmed up.